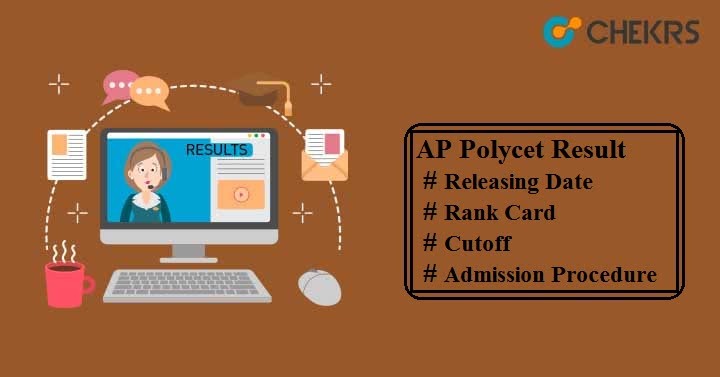 AP Polycet Results 2019: Candidates looking for results of AP Polycet, conducted by State Board of Technical Education and Training (SBTET), Andhra Pradesh, Vijayawada can get direct link here. Go through this article completely to get detailed information. Only successfully passed candidates can get admission to Engineering, Non-Engineering and Technology Diploma courses offered in various government or non-government institutions. Here we have mentioned the expected AP Polycet Result Date with other important events. Candidates who had appeared in this exam can check their AP CEEP 2019 Results online with the help of given procedure. Click on ‘POLYCET Rank Card’ present at the top of the home page. Enter AP POLYCET-2019 Hall Ticket no. and then click on “View Rank Card” button. You will see your AP Polycet Rank Card on your computer screen. If you fail to download your result from the official website, then you can also go for the AP Polycet Result Manabadi. In order to qualify this examination, candidates will have to get more than or equal to minimum required marks i.e. AP POLYCET Cutoff marks. Directorate of Technical Education (DTE), Andhra Pradesh has decided that those candidates who will score minimum 30% marks will be considered as qualified candidates. Based on the Cutoff score, all qualified candidates will be listed in the Rank List with their rank in increasing order. If 2 or more candidates obtain the same score then they will get rank on the basis of their marks in mathematics. After the results are announced, SBTET will issue notification for the AP Polycet Counselling process. It will be held in the month of May or June. The authority will conduct web based counselling. Candidates will have to register online and select polytechnic colleges and courses of their choice. Documents will be verified at the Help-Line centres. Applicants who fail to register for counselling will not be considered for Seat Allotment process. Later based on options filled, seats availability and merit rank, seat allotment will be made to all eligible and qualified candidates.